From the first moment of its creation "Solidarity for All", acknowledges social rights for everybody. It is an open collegiality to everybody that envisions a society of free people. With Equality, Dignity, Solidarity, Social Justice. Recently, a great wave of support has been spread to every part of the country. People, who participate in organizations, solidarity structures and other collegialities, joined their voices with people of politics, arts and literature, for another human beings’ injustice. At the beginning of June, Irianna was sentenced to 13 years imprisonment, without a suspension, only with a single element of a controversial sample of DNA. Without sufficient evidence, the disintegration of a young woman's life is an absurdity. 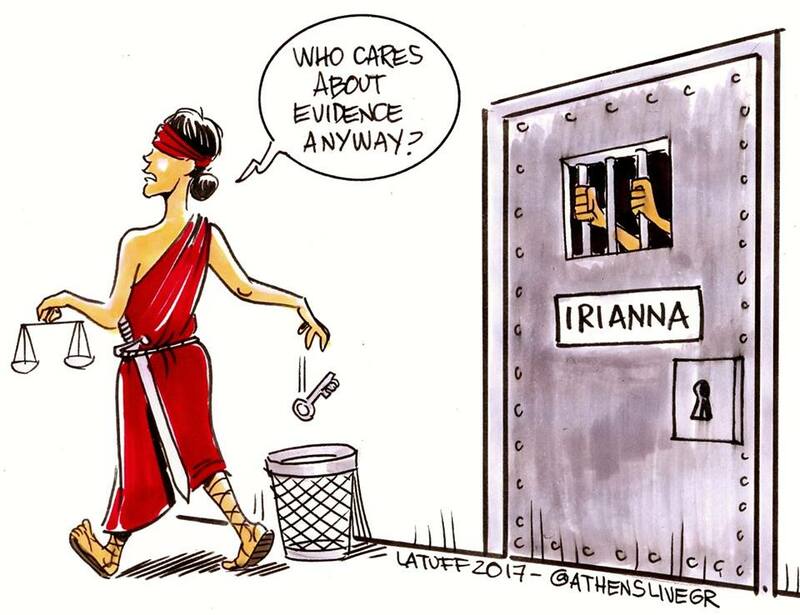 Irianna deserves a chance to prove her innocence. We reach out to every democratic citizen, all collegialities, organizations, solidarity structures, and every civil society groups to intervene in favor of 29-year-old Irianna. We can live better through solidarity!